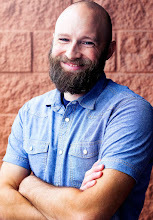 I was first introduced to Ted Kluck and his writings in his tag-team style book with Kevin DeYoung addressing the Emergent (and emerging) Church, enigmatically titled Why We're Not Emergent (By Two Guys Who Should Be). The same subtleties—along with a healthy dose of humor—make his latest book, The Reason For Sports: A Christian Fanifesto, a very easy and enjoyable read. Kluck has written for ESPN The Magazine and Sports Spectrum, and his knowledge and love of sports show on every page. While the spiritual content carries less of the weight than does the sports content, I imagine it would be annoying and heavy-handed if it were any different. Don't pick up this book expecting a deep theological treatise on how we are drawn to sports because the Christian life is a battle or how we will all one day "win" when Jesus returns. Rather, this book reads like a collection of essays centered around sports and how certain themes emerge for the fans (and players) that can be addressed by a Christian worldview. Such themes include steroids, sin and apologies, honesty and authenticity. Kluck succeeds in writing a book that will appeal to sports fans while still writing a book that deserves to be on a Christian publisher's roster (yeah, I said it). While I did come away with one disappointment (What is the reason for sports? I still want to know), The Reason For Sports is a worthy read for any sports fan. In fact, it was the first book I have given to anyone this year for that very reason. This book was a free review copy provided by Moody Publishers.